Recently, our St. Justin community took part in an amazing event. 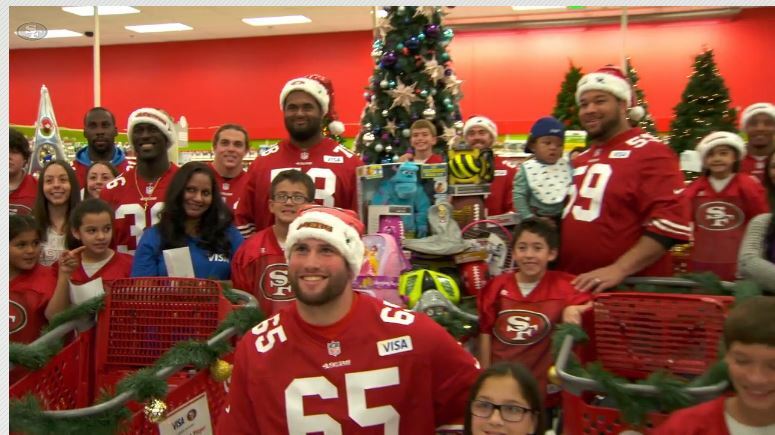 The San Francisco 49ers took fifteen of our students on a shopping spree at Target sponsored by Visa. The children were asked to create a list and shop for their families (not themselves) — AND, in order to support those in need in our community, we also asked them to purchase at least one item for Community Ministry from our Novena list. As usual, our generous students did more than we asked. It was an exciting trip to Target. 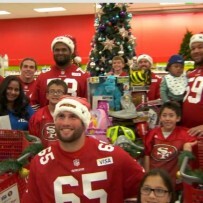 The children each shopped with a 49er player, many of whom personally paid when the children went over budget. There were news crews and photographers. By the time our students were finished shopping we had more than three carts full (over $1000 worth) for Community Ministry as well as presents for each student’s family members. It was an incredible day; our only wish would be that we could have taken all of our students! St. Justin School is featured under their Community page on the San Francisco 49ers website!